Backpacker's Pantry vs. Mountain House: Which Should You Buy? Backpacker’s Pantry vs. Mountain House: Which Should You Buy? Just so you know, if you choose to buy a product we recommend, at no extra cost to you we may earn affiliate commissions that support our work. If you’d like to know more, you can read about our review process and how to support our work. Also, both Backpacker’s Pantry and Mountain House gave us free meals for our taste tests. If there’s one thing we love more than backpacking, it’s backpacking food. I’m no professional foodie, but — when presented with the opportunity to referee a taste test between two of the biggest freeze-dried meal brands — you best believe I jumped on it. Backpacker’s Pantry and Mountain House both sent our team 10 of their bestselling meals, 3 breakfasts and 7 entrees. We then judged and scrutinized these two brands’ meals on everything from packability and weight to nutritional content and quality of flavor. What did we learn? Though they both make MREs, their meals are surprisingly different. Don’t believe me? Let’s get down to it. 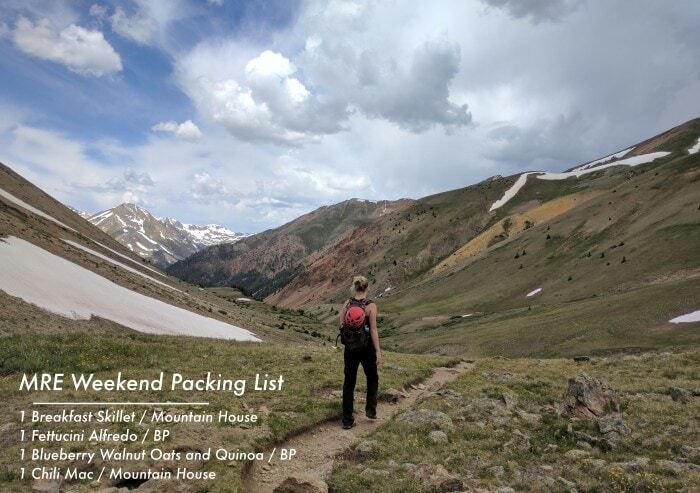 Backpacker’s Pantry vs. Mountain House: Which Brand Is ‘Best’? Flavor: Who Makes Tastier Meals? Preparation: Whose Meals Are Easier to Make? Nutrition: Whose Meals Are More Nutritious? Cost: Who Offers More Bang for Your Buck? Both Mountain House and Backpacker’s Pantry have some delicious options. So, rather than focus on which brand is best, we encourage you to think about which individual meals are best. Simply put, we think Mountain House’s meals taste better. Overall, the Mountain House meals received higher ratings for flavor in our taste tests than did the Backpacker’s Pantry meals. Here are two screenshots of our rankings so you can get an idea of our results. As you can see, Mountain House meals scored higher in the “Flavor & Aftertaste” category and received higher overall scores. For their breakfasts, Mountain House focuses more on creating savory dishes rather than sweet ones. The opposite goes for the Backpacker’s Pantry. If you love sweet breakfasts, you have got to go with BP, especially their Blueberry Walnut Oats & Quinoa. For entrees, both brands focus on savory dishes, but Mountain House has really perfected the art of producing ooey, gooey, stick-to-your-insides, warm dinner deliciousness. As for Backpacker’s Pantry, their meals struggled to recreate complex flavor profiles like those found in pad thai. In many instances, it resulted in an off or synthetic taste. However, either brand will do if you don’t mind the waiting. Neither has challenging preparation instructions. Almost every meal that we sampled from both companies required us to just boil water, pour it in the pouch, and wait a certain number of minutes. There were only two exceptions. The Huevos Rancheros from Backpacker’s Pantry requires you bust out a pan to complete the cooking process, making it the most difficult to prep. But the Backpacker’s Pantry Granola with Bananas, Almonds & Milk takes no time at all. You simply add water (it can be hot or cold), stir, and enjoy. * Editor’s Note: Elevation, ambient temperature, water temperature, and specific food profile all influence preparation time. Backpacker’s Pantry’s preparation instructions are designed for as wide a range of scenarios as possible, but you should always adjust them to your specific circumstances. In other words, your preparation time might be shorter or longer than 15-20 minutes. 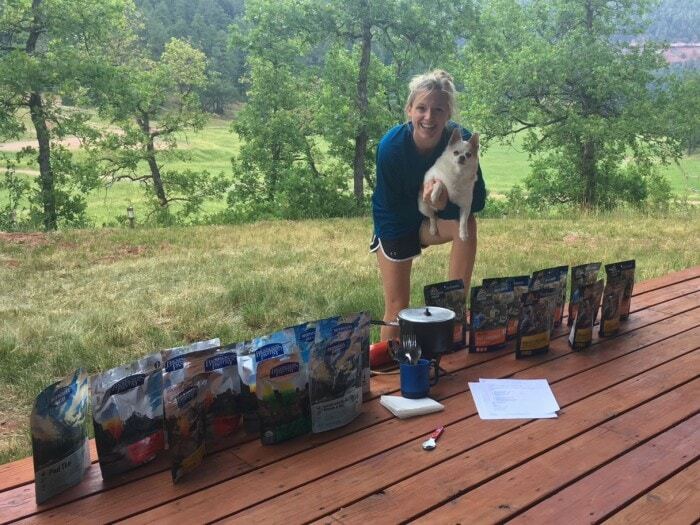 For the sake of uniformity in our taste test, we followed the preparation instructions on each package to a T. Our taste test took place at 6,500 feet during a warm summer night in Colorado. To shed some light on who makes more nutritious meals, we averaged the Nutrition Facts labels of the 10 meals we taste tested of each brand. Here is the side-by-side comparison. Keep in mind that these numbers are averages for a single serving of only the 10 meals we tested of each brand. A single serving of a Backpacker’s Pantry meal tends to be higher in calories, total carbs (including dietary fiber and sugar), protein, vitamin A, vitamin C, calcium, and iron. I’m not too sure why this is — I’m not a nutritionist! But, once again, these are averages so not every Backpacker’s Pantry meal will be higher in all these categories than a comparable Mountain House one. If nutrition is important to you, spend some time comparing labels before buying. Vegan, vegetarian, pescatarian, and gluten-free backpackers should also check out our guide to the best Good To-Go backpacking meals. Good To-Go makes plenty of nutritious freeze-dried meals that cater to these special diets. Of the meals in our tests, the average cost of a Backpacker’s Pantry pouch was $8.06 while the average cost of a Mountain House pouch was $8.09 — essentially a wash. Cost varies a fair amount between the individual meals, though. Our Backpacker’s Pantry meals ranged from $4.50 for Louisiana Red Beans & Rice to $10.90 for Fettuccini Alfredo with Chicken. For Mountain House, Scrambled Eggs with Bacon was our cheapest pouch at $5.99 and Beef Stroganoff with Noodles was tied for most expensive at $8.99. But recall that a Backpacker’s Pantry serving had over 100 more calories on average, making it a slightly better value in terms of cost per calorie. Although, since MREs tend to be relatively expensive, those on a tight budget should consider these other backpacking foods. Ultimately, like we said at the start, you should not focus on which brand is better but instead figure out which individual dishes you like best from each. I am guilty of carrying both brands in my pack. If you can, spend a little extra money to buy some meals from both brands and try them out for yourself. 20 MREs, 5 participants and 2 very curious dogs piled on to the patio. The stage was set. 10 Mountain House meals and 10 Backpacker’s Pantry meals were all prepared for flavor testing. We judged them on their saltiness, sweetness, and spiciness (or lack thereof). We rated each product on their packability, nutritional content, weight, number of servings, calories, and how willing we would be to eat the meal multiple days in the row. By the end of the night, there were clear favorites. Some of us were nauseated, some were fleeing to the bathroom, others were bouncing off the wall and unable to go to sleep that night thanks to the sugar content. Others slept like babies. Our focus group was made up of individuals with very different palates. It made for an interesting and quotable night.